It seems as though the list of basics for a baby or a child is never ending. For example, did you know that safe for the environment, organic products aren't necessarily safe for baby? Today I tackled bathing and cleaning necessities. 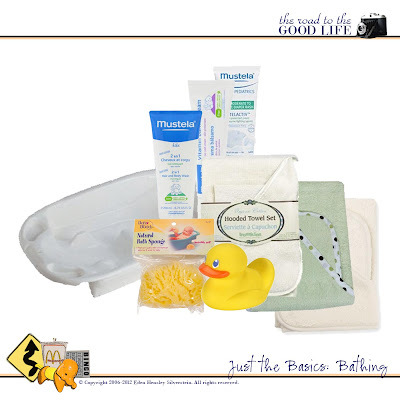 The Finds (far left clockwise): Primo EuroBath, white, $32; Mustela 2 in 1 Hair & Body Wash, $9.98; Mustela Vitamin Barrier Cream, $10.98; Mustela Stelactiv Diaper Rash Cream, $11.98; Bumkins Organic Cotton Hooded Towel Set, Cream Satin Trim, $17.76; American Baby Organic Cotton Terry Hooded Towel Set, Celery and Ecru, $18.98 each; Safety 1st Rubber TempGuard Ducky, $2.74; and Baby Buddies Natural Sea Sponge, $9.98. 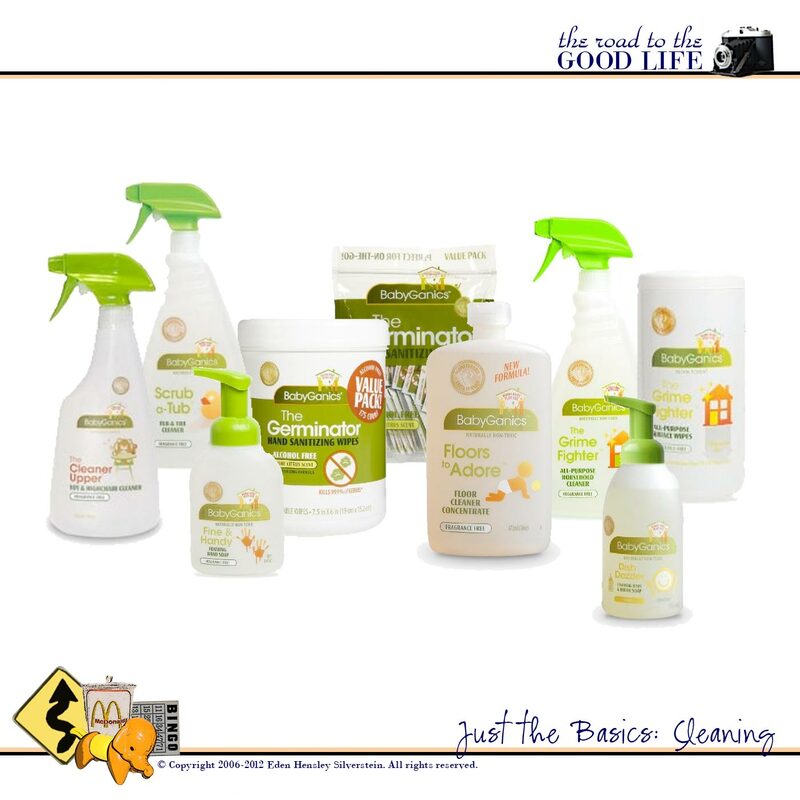 Credits: All images taken by their respective sellers: Amazon, CitiKids Baby News, and Diapers.com. Collages created by Eden Hensley Silverstein for The Road to the Good Life.